In the afternoon, “Urban Food & Farming” panel talk gathered to Didac Ferrer Balas from Tarpuna Coop, Hernani Dias from Re:farm The City and Luke Iseman from GrowerBot, talking about the sustainability of cities and the urgency to achieve their food auto-sufficiency. This talk, smartly moderated by Anna Waldman-Brown from Practical Energy Network, showed that the Fab Labs movement is not only about technological change, but also about social innovation. Tarpuna Coop is a Barcelona-based cooperative promoting urban agriculture and social innovation projects. 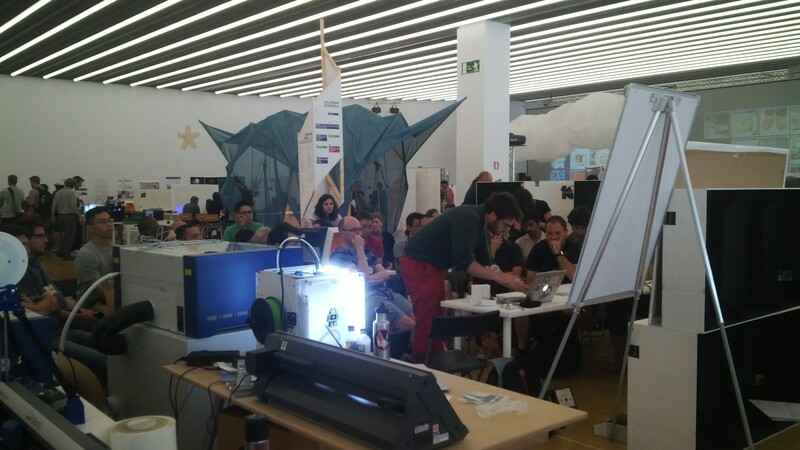 In a similar vein, the Barcelona-born collective project Re:farm The City develops Arduino-based open tools aimed to help people to create and manage urban farms. By his side, the open hardware project GrowerBot, a Fab Awards finalist this year, helps to create smarter gardens by monitoring and sharing environmental data, allowing people to grow more food with less work. 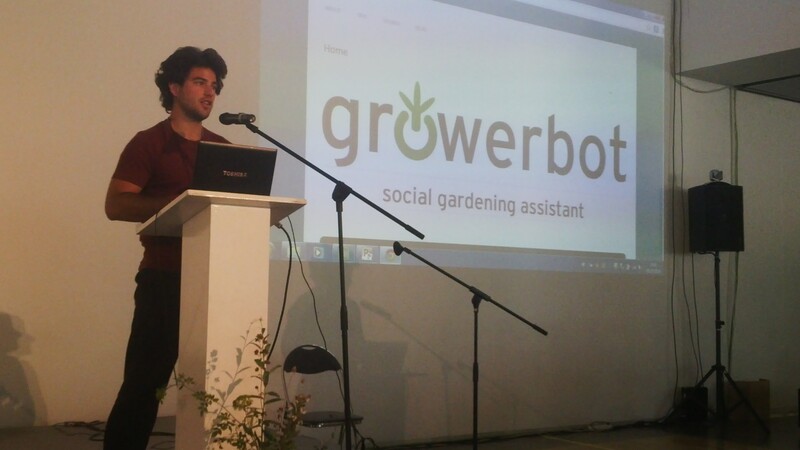 We had the chance to made an interview with Luke Iseman, founder of Growerbot, that we will publish soon. 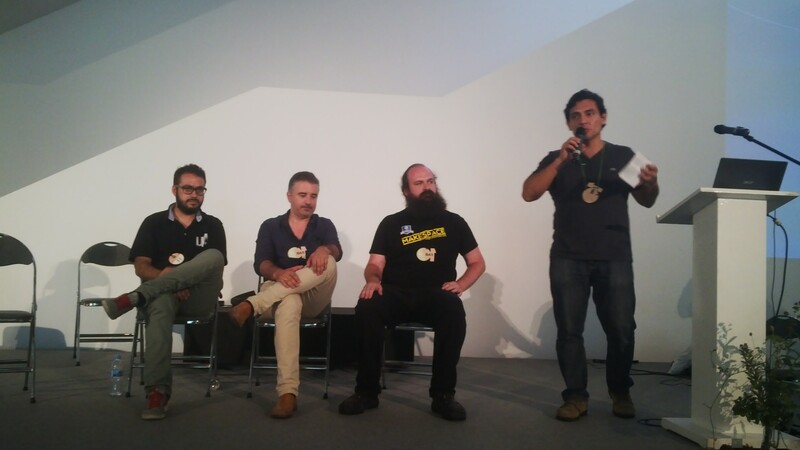 The speakers panel of “Fab Labs” talk featured Fabio López from Fab Lab Unal Medellín, Cesáreo González from Fab Lab León and César García from Makespace Madrid, moderated by Beno Juárez from Fab Lab Lima. With Fab Labs being such local organizations, it was interesting to listen them talking about the particularities of their experiences. However, all of them revealed something in common: they are all in search of a viable business model. Memberships, services, educational tasks, partnerships with companies… they still need to develop their own models because none of the existing models suit them completely. But in the end, they coincided in the idea of Fab Labs having a promising future, and they are there to help to build it. Saturday closed with the marvelous digital couture showcase of Fab Textiles + EASTN. Anastasia Pistofidou from Fab Lab Barcelona presented a selection of skillful creators that combine fashion design, technology and wearables. 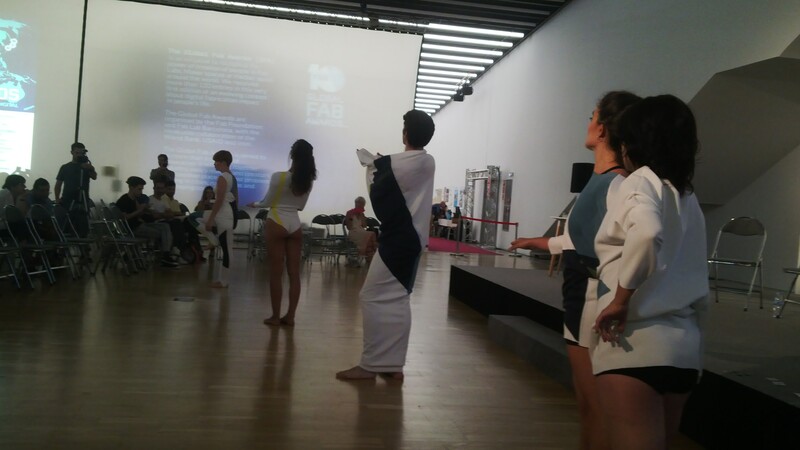 The showcase ended with a performance by Wearable Fashion Orchestra, an amazing dance show where music was generated by the movement of dancers wearing smart clothes. Much more was to come on later days. Stay tuned for more Fab 10 recaps.